Dinner at My House, An Abridged Autobiography of the Years 1958 through 2013 with Commentary by Barbara Nikonoff is now available online. Dinner at My House is a most read book for all Catholic’s interested in the history of the world in the past 50+ years. Barbara shares her experiences, thoughts and a great deal of resource to explain in a clear manner the good and not so good changes the world has seen in her lifetime. It was an honor for myself to work with her on this website project. Hi. 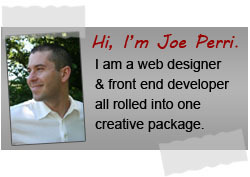 I am a Catholic web designer and front end developer located in Muskegon Mi. I specialize in helping small and medium size businesses succeed online as well as non profit organizations and Catholic churches have a voice on the Internet.